Below is an updated look at our trading range charts for the S&P 500 and ten sectors. It’s not a pretty sight. 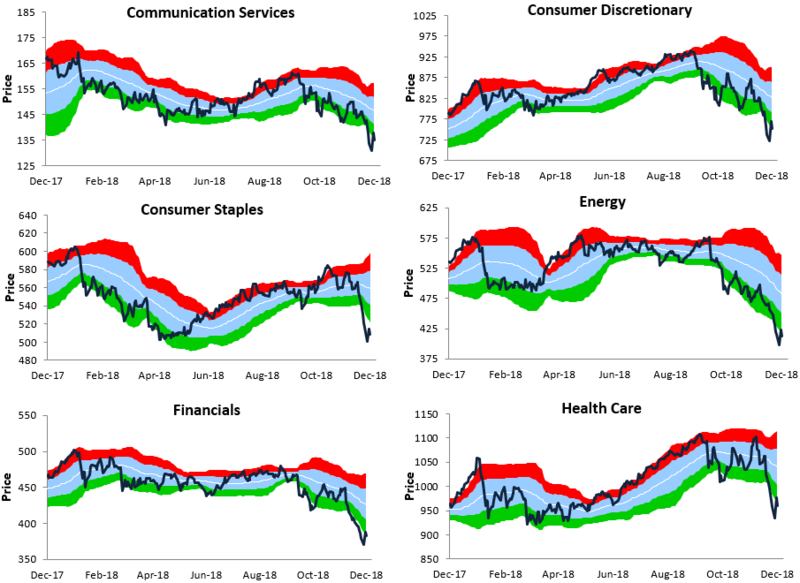 In each chart, the red shading represents overbought territory, while the green shading represents oversold territory.Investors certainly don’t have to worry about overbought levels right now!In fact, the S&P and all ten sectors are trading roughly 2 or more standard deviations below their 50-day moving averages even after yesterday’s big rally. 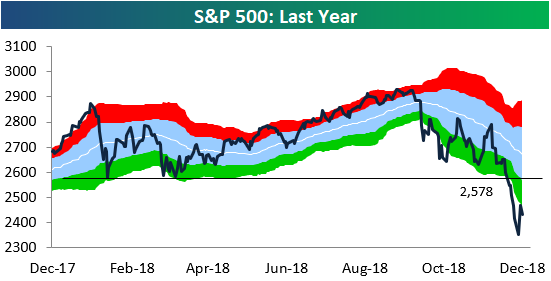 For the S&P 500, you shouldn’t even start to get excited until the index can re-take 2,578, which we point out in the first chart below. That level is now a big resistance point.Unfortunately, it will take a rally of 7.2% to get there! The bulls certainly have their work cut out for them.